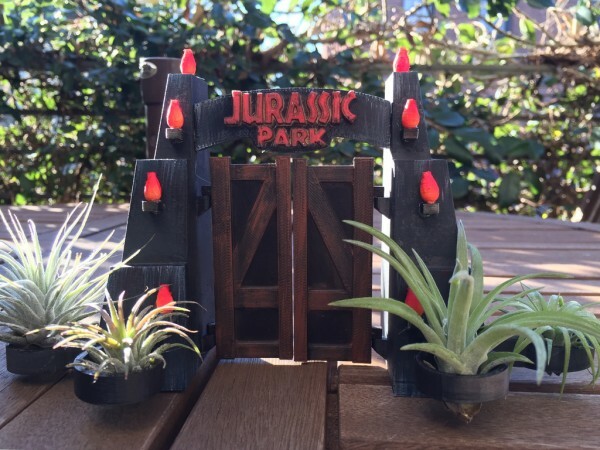 Jurassic Park Air Plant Holder #3DThursday #3DPrinting « Adafruit Industries – Makers, hackers, artists, designers and engineers! This is a remix of a remix by thingiverse user mb20music. I adjusted some of the tolerances and added small plant holders to the base. Now I just need to print and paint a little jeep.